Considering the economic circumstances, 2011 was a good year for the VDL Groep of Eindhoven. The combined turnover rose by 17% from €1.472 billion in 2010 to €1.719 billion in 2011. The consolidated turnover for 2011 will come out to approximately €1.575 billion, compared to €1.354 billion in 2010. The net result amounted to €66.0 million, compared to €76.6 million in 2010. The number of employees remained virtually unchanged – 7,135 at the end of 2011 compared to 7,126 in 2010. The turnover in the subcontracting division, which specialises in metalworking, mechatronic systems and system supply, plastics processing, and surface treatment, rose from €751 million in 2010 to €918 million in 2011. This turnover growth of 22% is largely due to the strong semiconductor, LED and solar energy market and the recovering automotive industry. The subcontracting division achieved a positive result in 2011. The order portfolio remained stable and, at around €240 million, is currently well filled. VDL expects the turnover of the subcontracting division to stabilize or decrease slightly in 2012. The turnover in the buses & coaches division fell from €426 million in 2010 to €405 million in 2011 (-5%). Particularly in the Dutch and Belgian public transport sector, almost no buses are being replaced by governments, as cut backs are being made across the board. Too few sales combined with large investments in product development and production optimisation have led to high costs and a negative result. The order portfolio is now stable, however, and amounts to around €200 million. The investments seem to be bearing fruit, yet the bus market remains a difficult one and continues to suffer the effects of the crisis. 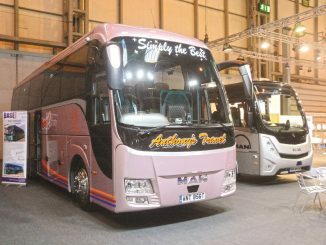 However, having won two international prizes for its new coach and public transport bus, VDL expects the bus & coach division to have a better year than in 2011. In the Finished Products division, turnover rose by 34% from €295 million in 2010 to €396 million in 2011. Here, too, the positive influence of the automotive industry is noticeable. Indeed, this division comprises suspension systems for the automotive industry, heating, cooling and air-technical systems, production automation systems, systems for the oil, gas and petrochemical industry, systems for the agricultural sector, sunbeds, roof boxes, container handling equipment, cigar-making and packaging machines, components for bulk handling and dust extraction installations and systems for explosion and fire protection. Particularly in the passenger vehicle industry, large orders were won for the delivery of production automation systems. The result of the finished products division was positive. The order portfolio is still expanding slightly and currently has a value of around €180 million. VDL expects slight growth of this division in 2012. Headquartered in Eindhoven, VDL Groep is an international company focused on the development, production and sales of semimanufactured products, buses & coaches and finished products. It consists of 79 subsidiaries spread over 16 countries. VDL Groep says its strength lies in the mutual cooperation between the companies.